In Stradivarius model. Made of seasoned wood. Maple back and spruce top, ebony trimmings, correctly adjusted and fitted with good strings. All cellos are available in full, 7/8, 3/4 and 1/2 size. 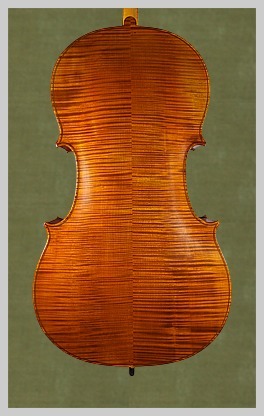 Stradivarius or Guarnerius model fine flamed old maple for back, sides and neck. Selected spruce top, golden-brown light shaded and imitated. Best quality of ebony or rosewood trimmings. Master workmanship. Stradivarius or Guarnerius model, aged selected old flamed wood, finely grained spruce top. Golden-brown varnish, slightly shaded. Best Hill style boxwood fittings. Best master workmanship. Stradivarius or Guarnerius model. Made of fine aged flamed maple for back, sides and neck, evenly grained spruce top, dark amber varnish. Best Hill style boxwood fittings. Best master workmanship. Stradivarius or Guarnerius model. Beautifully flamed two piece back, evenly grained spruce top. Fine amber varnish, slightly shaded. Best Hill style boxwood fittings. Highest quality master workmanship.